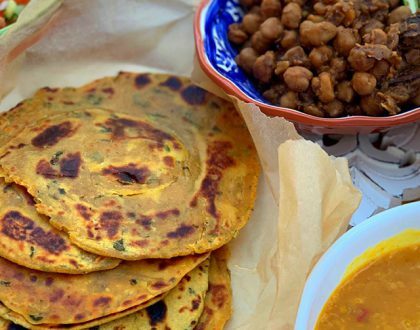 Simple and versatile flatbread that goes well with all dishes whether a vegetable or a curry. 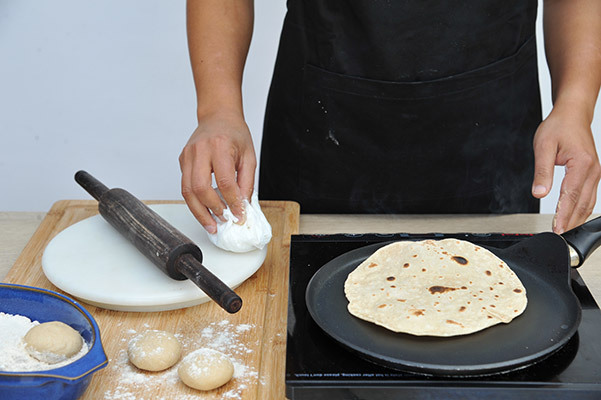 Rotis are the most commonly eaten bread in Indian homes and at the heart of every Indian kitchen. 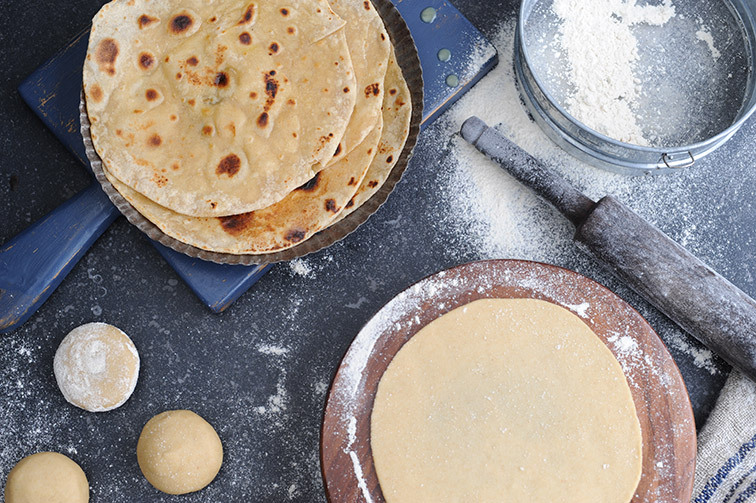 Health Hack: Rotis are made from whole wheat flour and therefore naturally high in fiber and iron. They are full of nutrients, packed with energy and promotes healthy digestion. 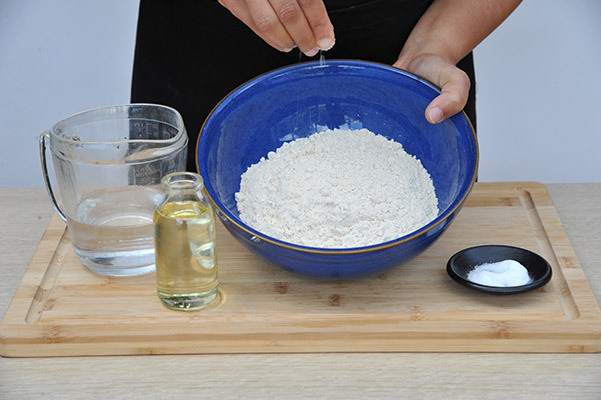 To make the dough first mix the flour, salt and oil together in a large bowl. 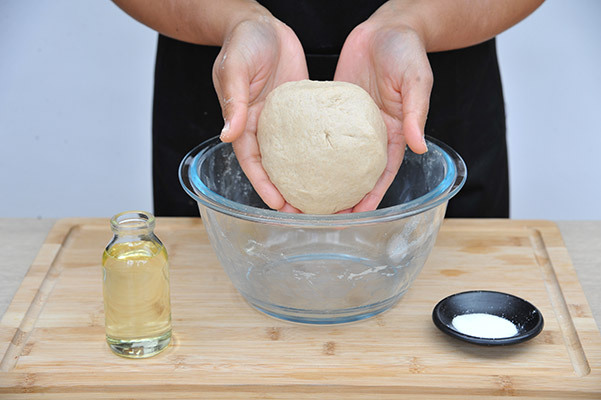 Add water gradually, kneading all the time with your hand (for 8-10 mins) to make the dough firm and smooth. Cover with a tea towel and leave to rest for at 10-15 minutes. Divide the dough into small to medium balls. Roll the balls in the palms of your hands. 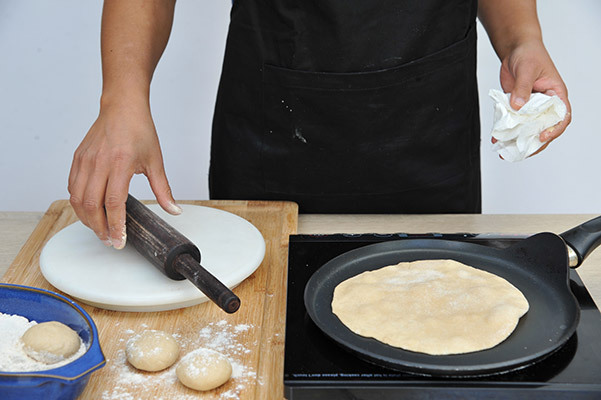 Dust the balls lightly with flour and roll into a flat round circle using a roti board and rolling pin. 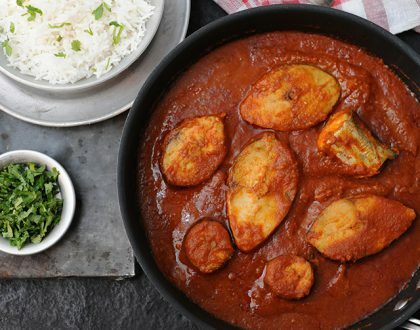 Heat a non-stick pan on medium heat until it is quite hot. 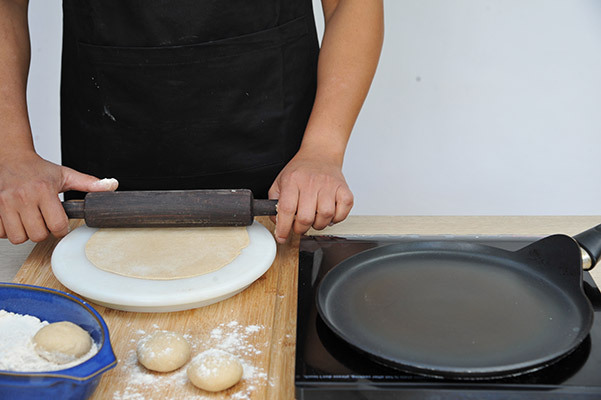 Place the rolled roti onto the pan and turn up the heat slightly. 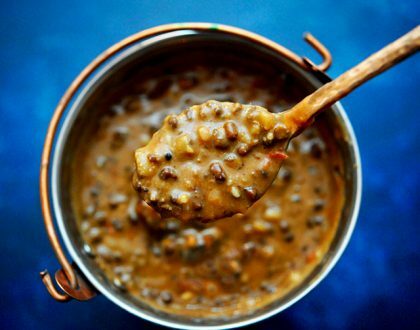 Cook until small bubbles appear on the underside for 20-30 seconds and then turn. Cook this side until the base now has small dark beige spots. 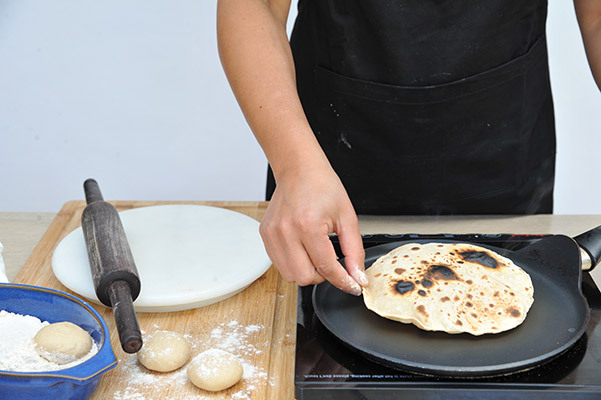 Turn the bread over, continue cooking until the roti turns golden and fluffs up. Apply ghee and serve hot. The dough can be made in advance and stored in the fridge over a couple of days, but it is important to bring it back to room temperature before you cook it.